Johnson & Johnson To Pay $2.2 Billion In Marketing Settlement : Shots - Health News A company subsidiary pleaded guilty to a misdemeanor charge stemming from the promotion of antipsychotic Risperdal for the treatment of dementia in elderly patients. The Food and Drug Administration never approved the drug for that use. The schizophrenia drug Risperdal was at the heart of government investigations into improper marketing that stretched back more than a decade. Like professional baseball, the drug industry may need to slap asterisks next to some of its standout sales accomplishments. Johnson & Johnson became the latest drugmaker to reach a costly agreement with the federal government over charges of improper marketing. The widely anticipated settlement, unveiled Monday, covers Natrecor, a drug for congestive heart failure, and antipsychotics Risperdal and Invega. Under the deal with the Justice Department, Johnson & Johnson will pay $2.2 billion to resolve various allegations. Those involving Risperdal accounted for most of the money involved. The company's Janssen Pharmaceuticals subsidiary also pleaded guilty to a misdemeanor charge related to the promotion of antipsychotic Risperdal for the management of dementia in elderly patients. While paying up to settle the civil charges, the company continues to dispute them. "The settlement of the civil allegations is not an admission of any liability or wrongdoing, and the Company expressly denies the government's civil allegations," Johnson & Johnson said in statement. "Risperdal was never approved by the [Food and Drug Administration] for the treatment of dementia," the government's criminal information notes. Yet about half of Risperdal prescribed a decade ago was for elderly patients suffering from dementia, rather than schizophrenia or bipolar disease, the government documents show. For years, the company deployed sales reps who called on doctors specializing in the care of elderly patients to play up the unapproved use of the drug for dementia. Besides being unapproved for dementia treatment, the use of Risperdal also carried significant side effects, such as an increased risk for strokes and diabetes, which the company allegedly downplayed. 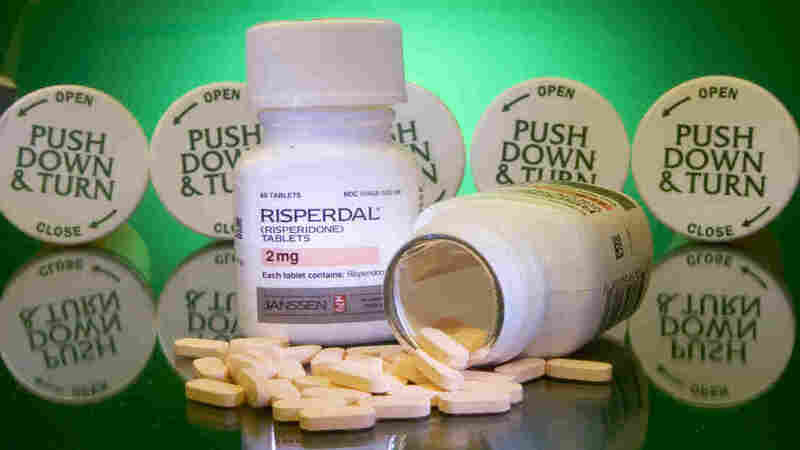 Sales reached a $4.7 billion peak in 2007, when Risperdal was the company's best-selling drug. Allegations and admissions about players' use of performance-enhancing drugs have marred the records compiled by some of baseball's stars. For the pharmaceutical industry, overactive marketing has juiced sales of drugs that might have languished in the minor leagues without them. Federal penalties levied against drugmakers for alleged fraud surpassed those for defense contractors, according to a 2010 report. No. 1 on the settlement list is GlaxoSmithKline, which agreed in 2012 to pay $3 billion and plead guilty to criminal charges related to antidepressants Paxil and Wellbutrin and the diabetes drug Avandia. Back in 2009, Pfizer ponied up $2.3 billion to settle allegations related mainly to the painkiller Bextra in the second biggest heato date. The J&J deal was a long time in the making. The investigations stretch back nearly 10 years. A tentative agreement on the Risperdal charges was reached a while back, as the company has disclosed in its financial statements. Why so long to get to this point? "This was a complex matter and we cooperated with the government since the separate investigations began over a decade ago," company spokesman Ernie Knewitz told Shots in an email. "It was always important to get this done right, and now we are looking forward to continuing to deliver innovative treatments to patients."